Richland County Unanimously Approves Nearly 50 MW Solar Farm! On Wednesday, April 10, the Richland County Zoning and Land Information Committee unanimously voted to usher in a brand new, nearly 50 megawatt solar farm! Located two miles north of the Wisconsin River on agricultural lands owned by three local families, the Richland County Solar Farm will sit on roughly 500 acres. With a capacity of 49.9 megawatts (MW), the project is expected to produce enough electricity to offset the consumption from more than 13,000 average Wisconsin homes. 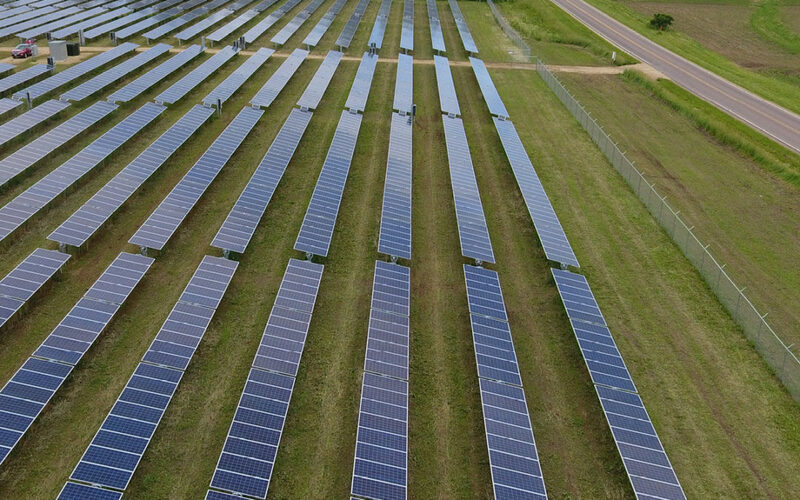 This project’s approval kicked off a momentous week for solar energy in Wisconsin when, the very next day, the Public Service Commission of Wisconsin approved two additional solar farm projects totaling 450 megawatts. You can read about Badger Hollow and the Two Creeks solar farm approvals here. Wisconsin’s current fleet of solar farms range from one to five MW in size. After the Richland County vote and the subsequent decisions at the PSC, it is clear that large-scale projects are coming to Wisconsin. Scaling up to a renewable energy economy will require investments in utility-scale wind and solar projects like the Richland County Solar Farm. This is the first solar project of this size to be approved at the county level. Richland officials took their time to carefully review the project proposal. The developer, Savion Energy (formerly Tradewind Energy), held two community meetings in September and November in the Village of Lone Rock. The County Zoning and Land Information Committee also heard from the public at two meetings in November 2018 and the most recent meeting in April 2019. At these meetings, residents from Richland County brought up the need for local jobs and the economic investment the farm would bring, the need for clean energy, their concerns about climate change, as well as concerns for future generations. Minutes before the final vote, local resident Bob Simpson expressed support for the project by highlighting his worries for his grandchildren and that at some point “we are going to run out of gas.” But there were other residents who expressed concern about potential issues related to glare, aesthetics and the use of agricultural land for solar. Create a vegetative barrier between project lots and adjacent residences within 1000 feet of the project fence. Provide screening on State Route 130 (which runs through the project site) within 1000 feet of the project fence. Provide a detailed site plan including access and driveway permits. Provide a decommissioning plan and financial security for decommissioning. Immediately after the meeting, I caught up with Marc Couey, Richland County Supervisor and member of the Zoning and Land Information Committee. I asked him about the Richland County Solar Farm and he said, “We are going to run out of power without using alternative energies. It’s the right thing to do.” I couldn’t agree more! The challenge is to increase the net income of 10,000 Dane County Families by 10%. Our Plan: to “Power Up” Dane County families and communities with clean energy! We were one of 46 original applicants, and we were fortunate to be one of 11 applicants to receive $10,000 to more fully flesh out our proposal. 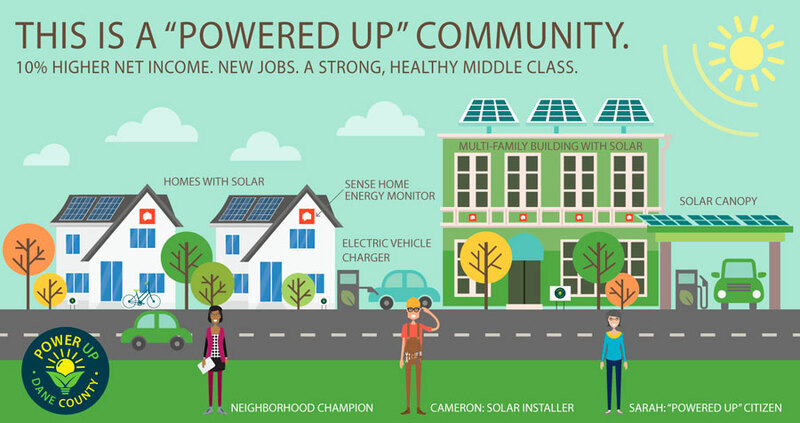 Our vision for Power Up Dane County is to create buzz about clean energy and provide community members the tools to adopt clean energy to reduce their monthly bills, create new jobs, and build a healthier community. We want everyone to have access to clean energy, from efficient homes to solar panels on their roof, and electric vehicles in their garage. However, many middle class families don’t know that these technologies are available to them. Power Up is our idea to change that. The program would start by empowering households to take control of their electricity bills using “Neighborhood Champions.” These champions will be excited members of the community who will help households install efficiency kits and the home energy sensor, Sense. 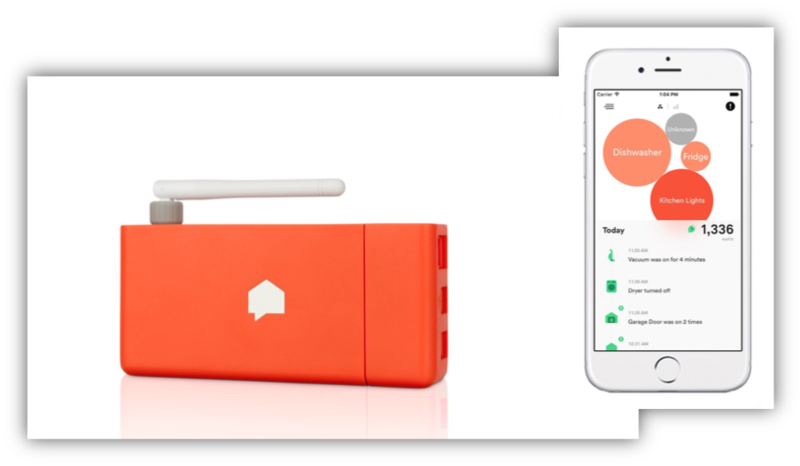 Sense measures electricity consumption in real-time, and gives users a visual indication of their energy use through an app. By learning which devices in their home use the most electricity, residents can unplug energy hogs and save money. After they have more efficient homes and a better understanding of their energy use, we want to connect participants with solar installers, home weatherization technicians, car dealerships that specialize in electric vehicles, and additional rebates for their clean energy investments. Power Up will make it desirable, easy, and financially feasible for participants to adopt clean energy, like solar panels and electric cars. These clean energy technologies will reduce air pollution and save families thousands of dollars per year on their energy bills. Power Up is competing against 11 other proposals for the top 3 spots. Should we be selected for the next round of competition, we will pitch our proposal to Schmidt Futures in Arizona in late January. We believe in a future that is “Powered Up” with clean energy technology. That future includes millions of dollars of in energy bill and healthcare savings, new clean energy jobs, and a healthy and prosperous middle class. The momentum around clean energy is building by the day. With Wisconsin utilities, counties, and municipalities committing to 100% renewable energy, we know the future of Wisconsin will be one with extensive clean energy adoption. Power Up is one vision for how to get there. In recent years, private companies and our state’s power providers have been building “solar farms” in Wisconsin. These are large-scale solar energy facilities providing homegrown, healthy, and smart energy to Wisconsin citizens. These new solar farms provide homegrown energy, making power right here in Wisconsin. Solar farms provide an opportunity to boost local economies and create jobs. Already Wisconsin’s renewable energy industry employs more than 75,000 workers – more than all the waiters, waitresses, computer programmers, lawyers and web developers in the state combined. This number stands to grow substantially as we explore more renewable energy development. Solar farms are healthy – they put out no emissions or pollution, and they use no water from the ground or surface. Many solar farms implement native meadow vegetation that prevents soil erosion, provides weed control, and produces a natural (and healthy) habitat for pollinators and wildlife. Solar farms are smart for Wisconsin, because they are cost-competitive with traditional ways of making electricity. The cost of developing solar power projects has dropped by over 75% in the past decade. And solar power technology has improved, so that more of the sunlight is directly converted to power. 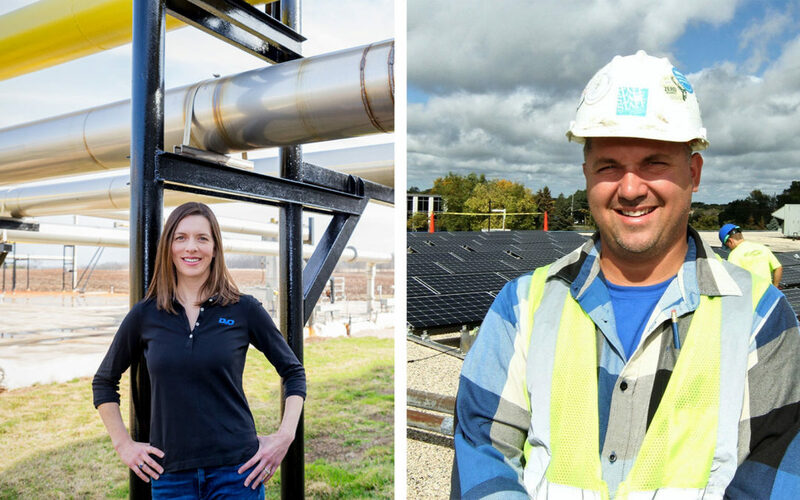 As some of these solar projects are getting underway and Wisconsin’s energy landscape is changing, RENEW Wisconsin is here to provide information and answer questions. We’ve made a fact sheet showing all the potential solar and wind development that is being explored in the state. It also shows what our power companies are planning to do to shift towards homegrown and clean, renewable energy including solar and wind. Beyond that, we’ve fielded dozens of questions and prepared straightforward answers that are easy to understand. In addition to having this online tool, we have 2-page and longer version of these “Frequently Asked Questions” that citizens can use. Solar farms: homegrown, healthy, and smart for Wisconsin. Learn more on our new Solar Farms web page! VISIT OUR SOLAR FARMS WEBPAGE! September was a busy month for me and RENEW Wisconsin. I attended more than 30 meetings, seminars and site visits all over the state. 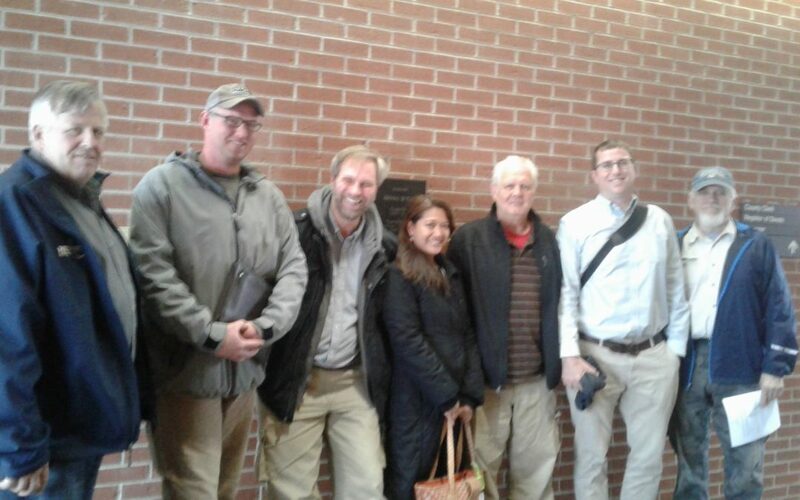 Many of them involved learning about Wisconsin’s exciting and fast growing renewable energy industry and building relationships with the talented people who help make it go. There were also numerous meetings with state and local policy makers as well as the leadership of many influential trade associations, unions and advocacy groups. Working together, we are starting to develop ideas for the 2019-20 legislative session that will help advance the use of clean, renewable energy that will create jobs, economic growth and save money for everyone! Customers First! Power Lunch – Go Electric! September got off with a “high voltage” start at the Customers First! Coalition Power Lunch, with the theme of “Go Electric”. Over 120 attendees learned about the latest developments and benefits of electric vehicles and “efficient electrification” – replacing direct fossil fuel use with electricity in a way that reduces overall emissions and energy costs. Efficient Electrification holds significant potential benefits for Wisconsin customers, utilities, and environmental advocates alike. PSC Chairman Lon Roberts gave the opening keynote speech and several panels with utility executives and state legislators Mark Spreitzer (D-Beloit) and Mike Kuglitsch (R-New Berlin) dove deeper into the technical and policy issues that will need to be addressed to keep up with these fast-growing trends. The program was interesting enough that WisconsinEye, the not-for-profit State Capitol broadcast network, recorded the event. On September 17th, Pauline Meyer and Nic Cravillion, policy staff from Congressman Mike Gallagher’s office, and Dodge County Board member Russ Kattke joined me at a tour of the Butler Ridge Wind Energy Center in Dodge County. 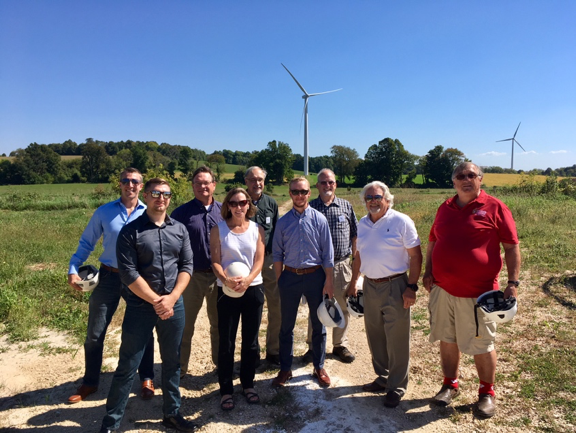 This was a behind the scenes tour of one of Wisconsin’s premier wind farms and was hosted by NextEra Energy Resources. Butler Ridge’s 36 turbines generate 54-megawatts of clean, renewable energy to power more than 13,500 homes. Wisconsin based Faith Technologies, who installed the ground grid and in-tower wiring, and The Boldt Construction Company were two of the prime contractors on the project. On Thursday, September 27th the Wisconsin Conservative Energy Forum hosted a summit onclean energy developments in Wisconsin. PSC Commissioner Lon Roberts opened the meeting discussing the bright future of renewable energy. Several guest panels discussed Utility Scale Clean Energy – A Turning Point for Wisconsin Utilities, and Decentralizing Energy & Encouraging Private Sector Investment. Lt. Governor Rebecca Kleefisch also spoke about the great things happening for clean energy in Wisconsin and how renewable energy fits so well into a conservative political viewpoint. At the end of her talk, Kleefisch presented a proclamation from Governor Scott Walker designating September 24th to September 28th as Clean Energy Week in Wisconsin. This echoed the clean energy week activities around the country. More than 75,000 Wisconsin residents now work in clean energy industries, including individuals in all 72 counties, according to a new analysis of energy jobs data from Clean Energy Trust (CET) and the national, nonpartisan business group E2 (Environmental Entrepreneurs). Wisconsin’s clean energy workforce employs more than all the waiters and waitresses, computer programmers, lawyers and web developers in Wisconsin combined, according to Department of Labor Employment Statistics. Energy efficiency once again led all clean energy sectors in Wisconsin, employing 62,299 workers – accounting for 8 in ten of all clean energy workers. Renewable energy generation came in second with over 5,600 jobs – led by solar and wind (5,351). “Wind, solar, and energy efficiency are the lowest-cost options for utility companies and our state’s homes, businesses, and public-serving organizations. Wisconsin has a tremendous job creation opportunity because these clean energy technologies are now cost-effective and ready for prime-time,” said Tyler Huebner, Executive Director of RENEW Wisconsin. Across the entire 12-state region, Clean Jobs Midwest found that clean energy employment totaled 714,255 at the end of last year. • Small businesses are driving Wisconsin’s clean energy sectors, with 67.90% of clean energy businesses employing fewer than 20 individuals.